Skim your eyes over the headlines that CES 2014 has generated this week and one thing becomes clear: gaming has never had a bigger presence at the show. Sure, the bendy TVs, smartwatches and tablets descended en masse, and there was plenty of the weirder stuff too, but some of the biggest take-aways from Las Vegas were for the gamers. It almost put E3 to shame. We'll start with Valve, which lifted the cloth off a roster of third-party Steam Machines at its seven-minute press conference. Ok, some of them are a bit fugly, but they're all beautifully powerful on the inside, each with their own specs, design, price point (starting at $499 and working up to $6,000) and expected release date (Digital Storm's Bolt II will be the first, arriving this month). Expect to see more, too. Which Steam Machine is right for you? As for Valve's own Steam Machine - you know, the one that looks a little bit like an Xbox 360 Elite - there's a good chance we may never actually see this at all. Valve sees itself as the enabler in all of this, leaving the hardware side of things to third-party manufacturers. It's carving out a niche and letting other come and build on it. Will we see the Steam Machines go big in 2014? Given the high price points of the boxes announced so far, it's likely to be a slow-burn process. 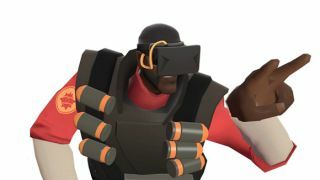 It may not be an overnight revolution but Valve's about to disrupt living room gaming - and we're completely on board. When we heard that an updated Oculus Rift was heading to CES 2014, we got so excited that a little bit of wee came out. Then we tried it on. Good thing we brought that extra change of clothes for our week in Las Vegas. The Oculus Rift Crystal Cove edition is a significant step forward. With the update comes a new low-persistence-of-vision OLED screen. Motion blur has been erased and latency has been reduced to 30 milliseconds (however the team want to get latency to sub-20 milliseconds by the time the headset is available to buy). It also now adds positional tracking to the experience - achieved via an external camera - so you'll be able to lean your head closer to objects in-game, peep around corners etc. As if the gaming industry hadn't had enough of a shake up as it was, along came Sony with a little announcement of its own. PlayStation Now is Sony's Gaikai-based streaming service that will let us stream old PlayStation games to the PS4, PS3 and Sony Bravia TVs this summer, with support for Vita and Sony Xperia Android devices coming down the line. What does this mean for PlayStation? For starters, it means the PS5 could be a very cheap console indeed. But most significantly it means the PS4 and Xbox One will almost certainly be the last of the games console as we know it, and that's no bad thing. To round off this exhausting week, here's what our Future pals have been up to.